This is a guide for installing Plumi 4.x on a Debian or Ubuntu Linux server using an Apache2 web server. Plumi is untested on other operating systems. 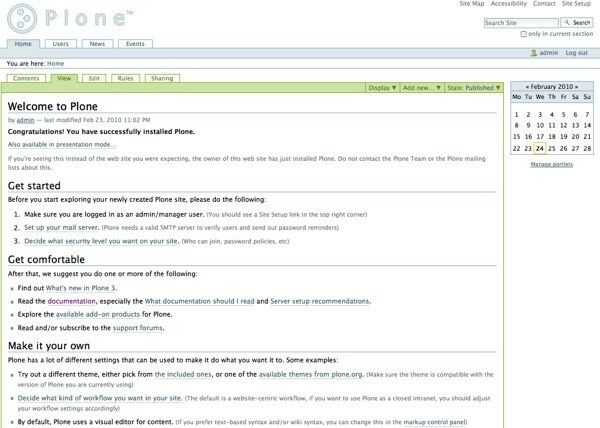 You can find more information about installing Plone on different kinds of servers here, which should aid you in installing the Plumi buildout on other operating systems. Please contribute your installation notes on these or different OSs via the Plumi email list and/or by editing this manual chapter here on FLOSSmanuals. This guide requires that you already have intermediate knowledge of systems administration, Debian or Ubuntu Linux, the shell and Apache. A basic knowledge of Python is desirable for installation. Knowledge of Zope and Plone will aid in set up of your Plumi site. Debian or Ubuntu Linux server machine with these system requirements and Apache2 web server & domain set up in which to run your Plumi site (a tutorial on setting up an Ubuntu web server can be found here and one for a Debian web server is here). Shell access to server and an account with permissions over domain's directory. Subversion version control system (svn). Plumi 4.x is built on Plone 4.x which requires Python 2.6 to operate correctly. It will be installed as part of the installation detailed in this chapter. Please ensure that these domains are set up in advance of your site installation and have had sufficient time to propagate through the Internet (eg: 24-48 hours). NOTE: If you server is not going to be accessed from the Internet, you still need to set up the domains within your private network (eg: internal DNS server, /etc/hosts files on all workstations, etc). If you want to run a development version to test plumi, you do not need to set up these domains. Plumi development setup will work out of the box on localhost. This will install the virtual env into src/pyvirt, activate it and then install the (required) Python Imaging Library into the virtual env. Here you will find information on how to install Plumi from buildout, which is the recommended process. A buildout puts together Zope, Plone, the third-party products and all customisations into one package. This makes it very easy for you to get everything up and running quickly. The buildout tutorial on Plone.org is available here. NOTE: Plumi uses ports 8080 to run Zope, 8100 to run zep and 8888 as the listen port for the transcode daemon. In production buildouts you can see and change all the ports used by editing the site.cfg file. If you have other systems using these ports, please configure your buildout prior to running it (see the buildout configuration section for details). Where are you going to put your Plumi files on your web server? We are using /opt/plumi but you could use /home/zope or something similar. NOTE: Do not install the files into /var/www or any other publicly accessible space on your server. Which version of Plumi do you want to get? The trunk version of Plumi contains the latest development code and may therefore be unstable. If you are contributing to the development of Plumi by coding or testing then this is the version you should install. Tagged versions of Plumi are releases that have been packaged and may include Beta Releases, Release Candidates or full production versions. Do I want to create a development site or a production site? If you wish to run a production site you can use the fully-fledged production build with caching, multiple load balanced zope instances, etc. If you simply want to evaluate or develop Plumi, then a much more lightweight buildout is provided instead in the development buildout. NOTE: Download_Link is the link to the package file from Plone.org / PyPI e.g. http://pypi.python.org/packages/source/p/plumi.app/plumi.app-4.0.zip#md5=807dbf4f54b2845351dd74087b2c2e80, Zip_File is the name of the archive file (eg: plumi.app-4.0.zip) and Created_Directory is the name of the directory created after the archive is extracted (eg: plumi4.1beta). NOTE: It is best to use the default 'localhost' URLs unless you are putting the transcoder on a separate machine. Prepare to run the buildout (bootstrap is a Python script that creates a number of directories and scripts based on the buildout configuration file, and downloads the latest version of the zc.buildout egg). Run the buildout (in verbose mode). This will take between 5 to 10 minutes, possibly more depending on your server's configuration & load. Sit down, grab a coffee and wait till it finishes! Once the instance is running, go to the Zope Management Interface (ZMI). If you've used a non-standard port for Zope, replace the 8080 in the URL above with the port you have specified when configuring the buildout. Log in to the ZMI using the admin login details you specified in site.cfg (eg: username: admin, password: admin). 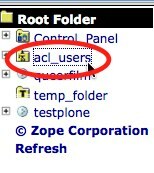 If you want to change the admin user's ZMI password once logged in, navigate to the acl_users folder in the left-hand sidebar. Enter password and confirm by re-entering, then click Update Password. 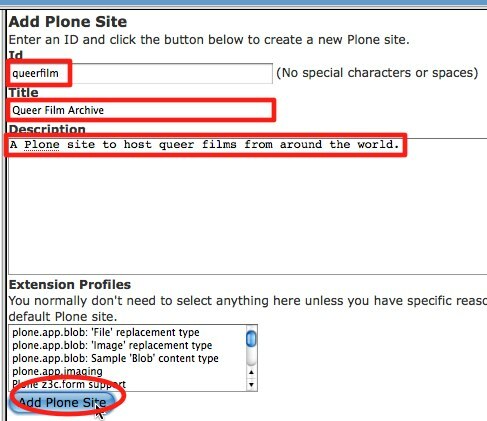 Add a Plone site or instance in the ZMI. Click “Root Folder” in the left-hand sidebar. 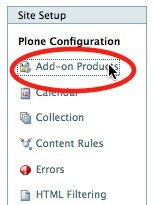 Choose Plone site from the Select type to add... drop-down menu and click Add. Enter the ID, Name and Description, e.g. ID "plumi" and Name "Plumi Site". 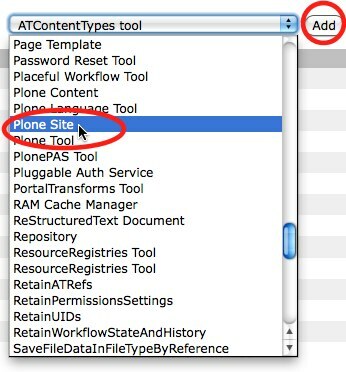 Click Add Plone Site. Click site setup in the top right corner. 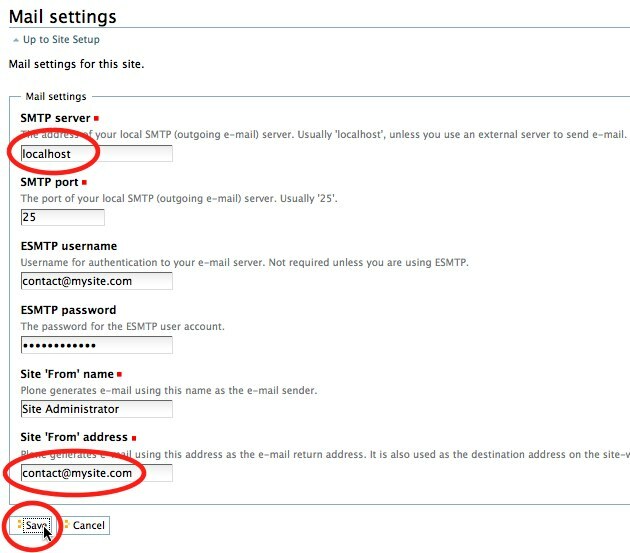 Follow the prompt to change your mail settings. Change/add your mail settings and click Save. Click Add/Remove Products from Site Setup sidebar. Tick the tick box next to Plumi. Wait a few minutes for your Plumi site to install. Click Add/Remove Products from Site Setup sidebar again. Tick the tick box next to Plumi skin. When it is done, the page will reload and you should see a freshly installed Plumi site complete with the Plumi skin/theme. Add a new user to your Plumi site for testing (the admin user may not have the correct folders created for them, as this user is created before the Plumi site is generated). Register a new user by clicking register. Log in with new user account details by clicking log in. 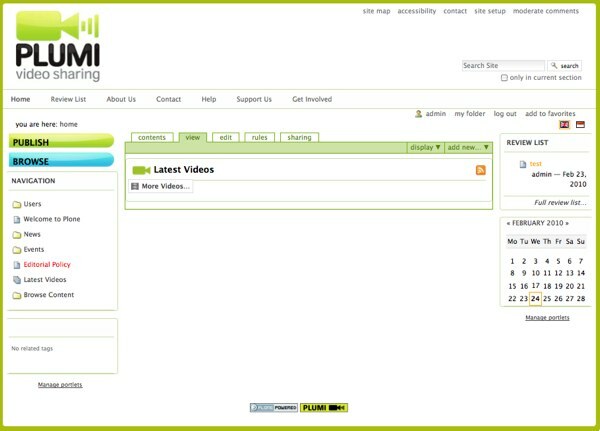 Try publishing a video in your new Plumi site (logged in as this new testing user). Check the video after it has uploaded to see if it has been created and transcoded correctly. If you are having trouble installing Plumi please join one of our email lists or IRC channels listed here or contact the Plumi maintainers here. You may encounter difficulties if you are already running a Plumi site from another buildout on this webserver (note that you would usually add another Plone site within the one buildout rather than run multiple sites from different buildouts). If you must run multiple Plumi installations on the same server, you will need to set up Apache & Squid yourself & not use the default configurations included in the buildout process. You will also need to change the default ports in the installation's site.cfg file. If you are running more than one transcode daemon as well, you will need to change the name of the Transcode Daemon process ID file. The development map chapter describes the anatomy of the Plumi buildout, and explains the products and packages that are installed.